For all us boy mommies out there, you know we have limited clothing options for our miniature men. Baby stores are filled with dresses of all shapes and sizes for the little ladies, but there are usually slim pickin’s for the fellas in our lives. 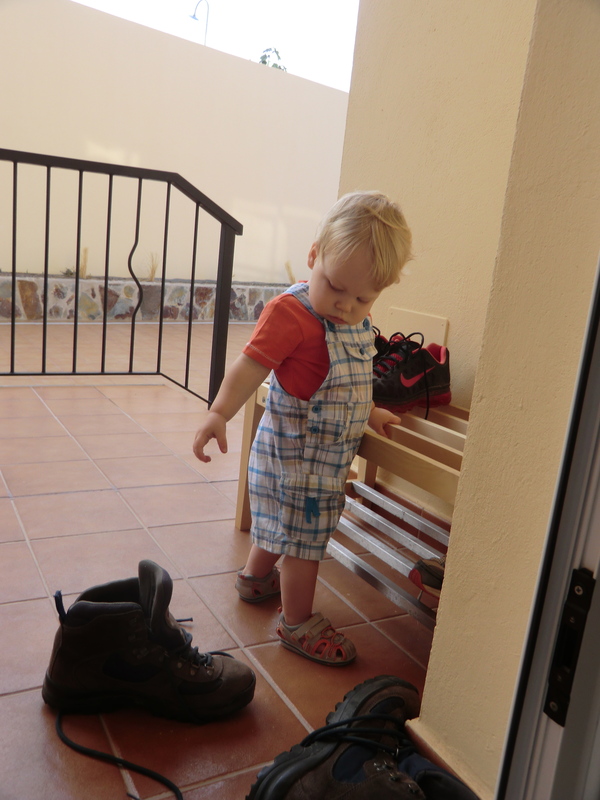 *** NOTE : My son has a mysterious shoe fetish. 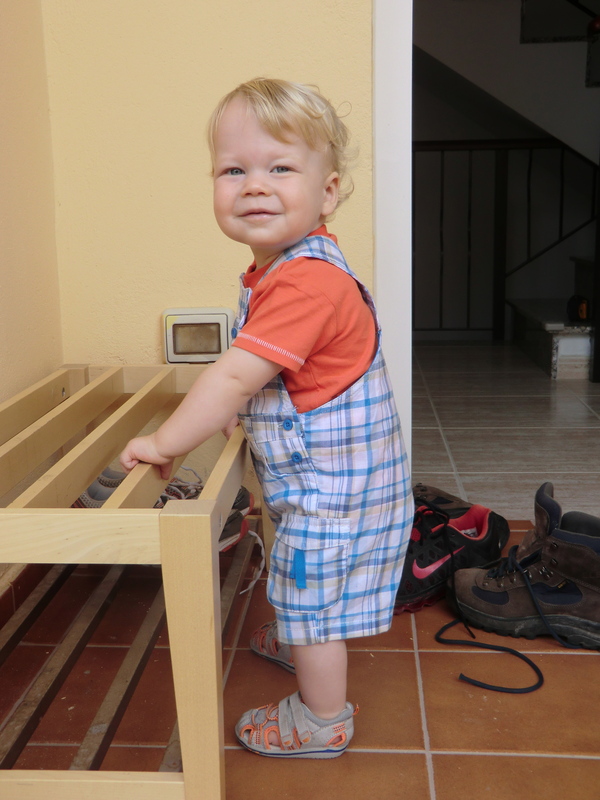 As in… he is obsessed with pulling all the shoes off the shoe rack. All the time, every morning, without fail. 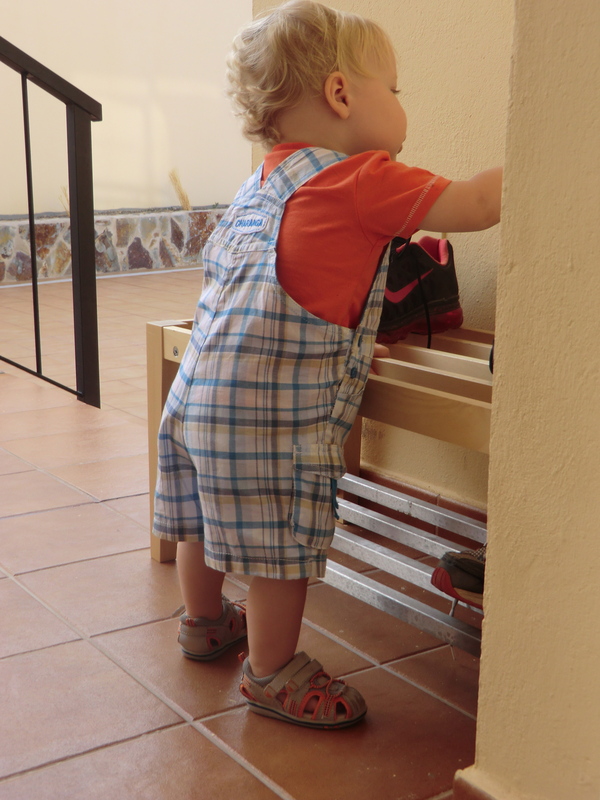 Shoes belong on the floor, Mommy, not on the shoe rack. Duh….